Where do the quilts go? 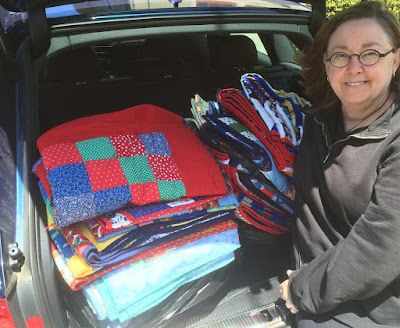 Recently quilts also went to families displaced by the Valley and Butte wildfires. Depot for Creative Reuse, Oakland - for donations we couldn't use.